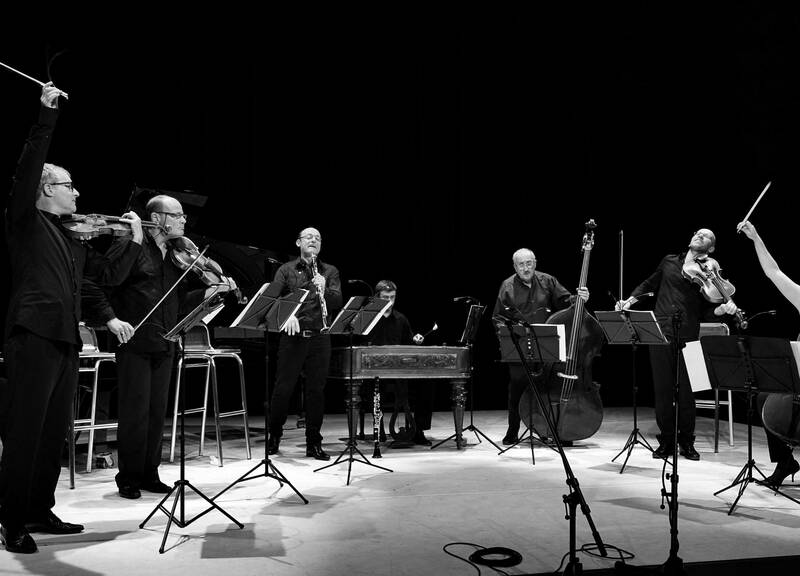 An ensemble of highly trained musicians, mostly from the Orchestre de Paris, the Sirba Octet presents their own original take on traditional klezmer, Yiddish and gipsy music. Laurent Manaud-Pallas began his musical career in Tarbes and Pau. After a stint at the Boulogne-Billancourt conservatory, he entered the National Conservatory of Music in Lyon and finished his studies at the National Conservatory of Music in Paris where he obtained his degrees in violin and chamber music. In 1991, at the end of his studies, he joined the Orchestre Philharmonique de Radio France with whom he appeared on the biggest stages of the world (Salle Pleyel in Paris, Carnegie Hall in New York, Philharmonie Berlin, Century Hall in Tokyo, Royal Albert Hall in London, Musikverein Vienna …). In 2002, Laurent MANAUD-PALLAS was appointed principal of the second violins at the Orchestre National de France. He worked under the greatest conductors such as, among others, Daniele Gatti, Kurt Masur, Seiji Osawa, Ricardo Muti and Bernard Haitink, and continues more than ever to travel the world. His notoriety allows him to collaborate with other orchestras (the Orchester de la Suisse Romande, the Orchester National de Lyon, the Orchester National Bordeaux Aquitaine, the Luxembourg Philharmonic Orchestra and the Orchester de Monte -Carlo) and various ensembles (Arties, the Psophos Quartet, Diabolicus, The Dissonances, Artists Release). 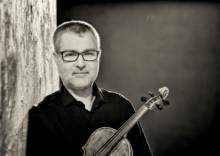 Newly integrated into the ensemble Sirba Octet as 2nd violin, Laurent MANAUD-PALLAS is also a member of the Volta Quartet since 2014, concertmaster of the Pau Pays de Béarn Orchestra since 2005 and concertmaster of the Lamoureux Orchestra since 2011. In addition, he teaches since 2015 at the Pole of Higher Education of Music and Dance of Bordeaux-Aquitaine. Laurent MANAUD-PALLAS plays a violin Nicolas Vissenaire from 1842. Born into a musical family, Grégoire Vecchioni was involved in music from an early age. In 2009 Grégoire entered the CNSMD Lyon in the class of Françoise Gnéri, then he continued his studies with a masters at the Paris Conservatoire with Gérard Caussé and then Antoine Tamestit, with whom he graduated in June 2014. At various academies, he has studied with great masters including Günter Pichler, Lars Anders Tomter, Nobuko Imai, Paul Coletti and the Alban Berg quartet. Grégoire is a founding member of the Van Kuijk quartet. Together they won the 1st Prize at the « Wigmore Hall String Quartet Competition » in 2015 and the 1st Prize at the « Trondheim International Chamber Music Competition » in 2013. The quartet became « BBC 3 New Generation Artists » from 2015 to 2017. Such experiences have allowed him to perform in various chamber music ensembles alongside artists such as Gary Hoffman, Gérard Caussé, Raphaël Sévère, Adam Laloum, Lise Berthaud, the Modigliani Quartet, the Ebène Quartet, Kian Soltani, Havard Gimse, Olivier Patey. 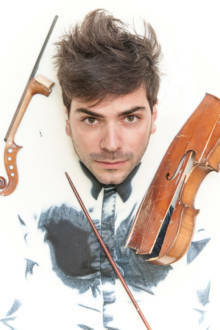 Also in love with the orchestra repertoire, Grégoire was selected to participate with the French Youth Orchestra in 2006 and 2007 with Jean-Claude Casadesus and the Verbier Festival Orchestra in 2010 with Daniel Harding, Rafael Frühbeck de Burgos, Charles Dutoit and Valery Gergiev. He is now working at the Paris Opera House with Philippe Jordan. 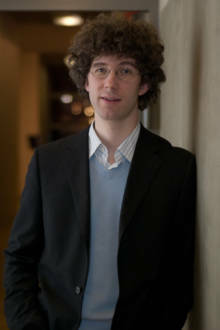 Grégoire Vecchioni is supported by the Meyer Foundation, Nadia and Lili Boulanger and the Mécénat Société Générale. 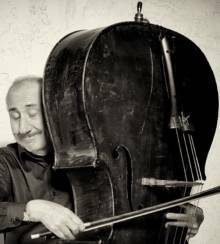 Bernard Cazauran has been a member of the Orchestre de Paris since it was formed in 1967, and was principal double bass from 1979 to 2012. He was a prize winner at the Geneva Competition. He has often appeared in chamber music, notably with Daniel Barenboim, but also in the field of jazz with Basse Fusion and tango with the Carrasco ’H’ Quartet. He taught for 15 years at the CNSM in Lyon. First clarinet for the Orchestre de Paris since 1995, Philippe Berrod also plays regularly with other ensembles as a guest soloist. His repertoire ranges from Mozart’s clarinet concerto to Dialogue de l’ombre double by P.Boulez. He was awarded a first prize diploma from the Conservatoire de Paris where he was tutored by Guy Deplus. He has also won a number of international competitions. He became a clarinet tutor at the Conservatoire de Paris in 2011. Berrod has released a number of recordings including Les Vents français on Sony Classical – Indésens and the album Art of Clarinet as well as two complete collections of chamber music for woodwind by Saint-Saëns and Poulenc respectively. These were well received in the press and nominated for Victoires de la Musique awards in 2011. 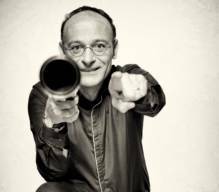 Since 2010, Berrod has been artistic advisor for the French woodwind instrument manufacturer Henri Selmer-Paris. Isabelle grew up in Paris listening to her mother’s vocal exercises, her grandmother’s scales and the marvellous stories that her father told her. She took to the stage for the first time with the Victor Cuno company in From Harlem to Broadway, and then performed in Marilyn de Montreuil, Chère Daisy, Happy Feet, Phi Phi and La Crise est Finie, thus becoming a “triple threat:” a singer, dancer and actress. Isabelle played a string of lead roles, in Barnum (J. P. Lucet/Les Célestins, Lyon), Le Passe Muraille (M. Legrand/Les Bouffes Parisiens, Paris), Nymph Errant (R. Redfarn/Chichester Festival UK), Singin’ In the Rain (J. L. Grinda/ORW Belgium & Théâtre de la Porte Saint Martin, Paris), La Périchole (J. Savary/Théâtre National de Chaillot, Paris), L’Air de Paris opposite Patrick Dupond (T. Harcourt/Théâtre Le Comédia, Paris), Et Si On Chantait (D. Bréval/Espace Pierre Cardin, Paris) and Titanic the Musical (J. L. Grinda/ORW, Belgium), where she met Maury Yeston and Frederik Steenbrink. Together with Frederik Steenbrink, she wrote and performed Une Étoile et Moi (a tribute to Judy Garland), in Paris, at the Edinburgh Fringe Festival 2005 (where she won The Fringe Award for best singer), on tour in England, in Holland, at the Adelaide Cabaret Festival 2007 (Australia) and at the Théâtre Antoine in 2011, directed by Eric Métayer. She produced and performed the French version of December Songs by Maury Yeston (with French lyrics by Boris Bergman), at the Théâtre du Renard in Paris and at the Avignon Festival. She recorded the album at Nola Studio, and performed it at Tower Records, New York, for its launch by PS Classics. Back in France, Isabelle recorded Something to Live For, with acclaimed French jazz pianist René Utreger, and played opposite Jean-Claude Dreyfus in Gerald Garutti’s adaptation of Petit Traité de Manipulation. 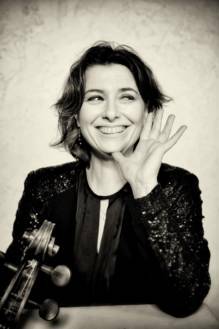 She wrote and performed La French Touche at the Edinburgh Fringe Festival, and Du Shtetl à New York with Sirba Octet at the Île-de-France Festival, at Théâtre de l’Européen in Paris, La Cigale in Paris, at the Schleswig-Holstein Musik Festival (Germany) and at the Amsterdam’s Concertgebouw. With Josette Milgram, Isabelle crafted and directed Cabaret Terezin, based on cabaret songs written in the Theresienstadt ghetto (with French lyrics by Boris Bergman), at the Théâtre Marigny in Paris. With Richard Schmoucler, she conceived Yiddish Rhapsody which she performed with Sirba Octet and the Pau Symphonic Orchestra, first at the Palais Beaumont in Pau and La Cigale in Paris, at the Théâtre des Champs-Élysées then at the Liège Salle Philharmonie in Belgium in 2015. Trained as a pianist and composer at the Strasbourg Conservatoire and the CNSM de Paris, Cyrille Lehn soon found himself attracted to improvisation, which he practises in very varied forms: recitals, accompanying silent films, concerts, and musical shows. His compositions have been featured on the programme of such notable venues as the Théâtre du Châtelet, the Festival de Radio France et de Montpellier, and the Festival de l’Emperi. He is fascinated by folk music and jazz, and has collaborated with the Sirba Octet since it was founded. Cyrille Lehn is professor of harmony at the CNSM de Paris and teaches improvisation at the Conservatoire du 14e Arrondissement. 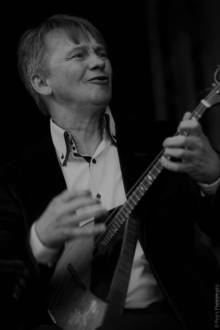 Born in a family of musicians in the Caucasus, Alexei Birioukov began to play balalaika at the age of 10. He spent 5 years with Balalaika master Pavel.I Netcheporenko and graduated from the Balalaika and conductor of Russian folk instruments at the Moscow Gnessin Academy of Music. In 1991, he won the 1st prize of the international competition of Klingenthal (Germany) in the category “groups” by performing with the Sinioritta Trio and began an international career. 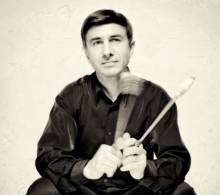 Alexey takes part in prestigious musical events and performs with various artistic formations. From 1991 to 1995, he produced a tour in Europe with the Sinioritta Trio. In 1994, he formed a duet with François Heim, diatonic accordion player and created with him the group Balagan. In 1997, he moved permanently to France and played as a soloist with the Avignon Orchestra and the European Philharmonic Orchestra. 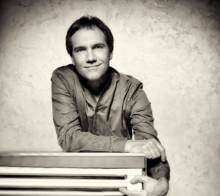 Since 2005, Alexei has been Artistic Director of the Troika Ensemble (music, dance, Russian, Gypsy and Eastern European singing). In 2007, he was decorated with a gold medal “Service for Art” by the Charitable Public Movement Fund to support Russian culture abroad. In 2013, he participated in the International Festival of Grand Masters Balalaïka in Moscow. The press considers him today as one of the great virtuosos of the balalaika. French critics speak of a “discovery”, of a “penetrating soloist who has kept his adolescent face”.